Work shoes with enough style to keep things fun, enough slip resistance to keep you safe, and enough comfort to get you through your day without pain? It’s possible, and it’s right here: the Fila Women’s Athletic Fresh Start Blue 5SK60136 421 Slip-Resistant S ... (see full details) (see specifications) #5SK60136-421. Work shoes with enough style to keep things fun, enough slip resistance to keep you safe, and enough comfort to get you through your day without pain? It’s possible, and it’s right here: the Fila Women’s Athletic Fresh Start Blue 5SK60136 421 Slip-Resistant Shoes. For years, you’ve enjoyed the Fila comfort and style of your favorite workout athletic shoes, and now you can enjoy it on the job site, too. Made with a little extra durability to survive the longest of shifts, these bright blue slip-resistant women's shoes keep things lightweight and well-supported throughout your day with industry rated slip resistance built right in to keep you moving in the right direction. These outsoles are tested and approved to ASTM F2913-11 standards for slip resistance. When you spend plenty of time on your feet on the job, you need the lightest support you can find in work footwear. Style is fun, and these Fresh Start shoes by Fila have plenty of that in store for you, but it’s the comfort you’ll appreciate the most when your day is done. These low-cut athletic style Fila shoes offer full range of motion for your ankles and plenty of flexibility to bend and move with your feet. The uppers are made from a combination of leather, synthetic, and breathable mesh. The leather is placed strategically right where you need it the most for its durable and abrasion-resisting properties. But leather is heavy, so in all of the places that typically don’t need the toughness of leather in order to last, lightweight synthetic is used to these fun, bright blue work shoes. The add some air flow to the women's slip-resistant shoes, mesh complements the style and further reduces the weight of the Fila footwear. The lace-up design and padded collars feel almost like your favorite recreational sneakers. The molded EVA midsoles are the key to comfort in these ladies’s blue slip-resistant shoes. Designed to absorb the shock of impact so your feet don’t have to, these compressive midsoles expand and contract as you step to cushion each step. Lightweight and flexible, these midsoles bend easily as you move to further reduce foot stress and improve stamina throughout the day. The air mesh base works to promote air flow around your feet to push out sweaty vapors and replace them with fresh air for cooler, drier feet. The slip-resistant outsoles are cemented in place for the lightest, most flexible hold in the business (despite what the name may sound like!). These outsoles are tested and approved to ASTM F2913-11 standards for slip resistance. So when it’s time for new women's work shoes that keep you on your feet and moving in the right direction, these Fila Women’s Athletic Fresh Start Blue 5SK60136 421 Slip-Resistant Shoes from Working Person's Store add the comfort and support you need to keep things light and supported on the job. 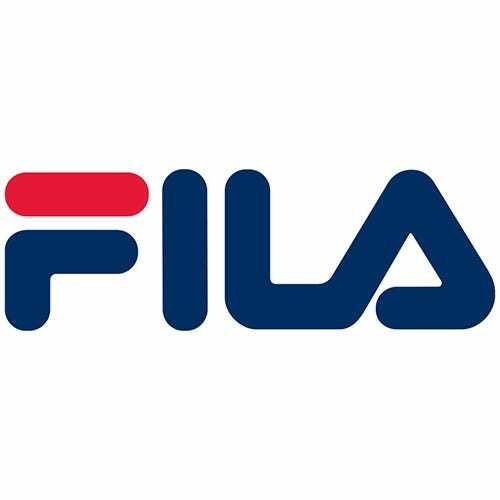 Fila Shoes: Women's Athletic Blue 5SK60136 421 Fresh Start Shoes is being added to your cart.